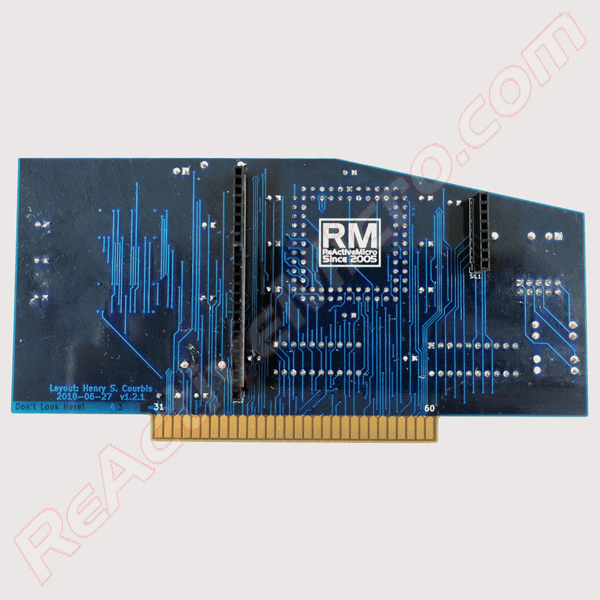 ReActiveMicro.com The Premier Apple ][ Store! This is the RAMWorks IIII v1.2. 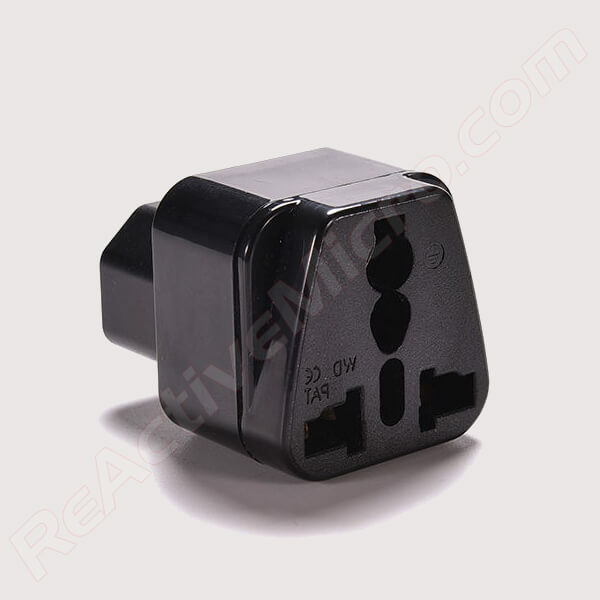 Comes assembled or in kit form. 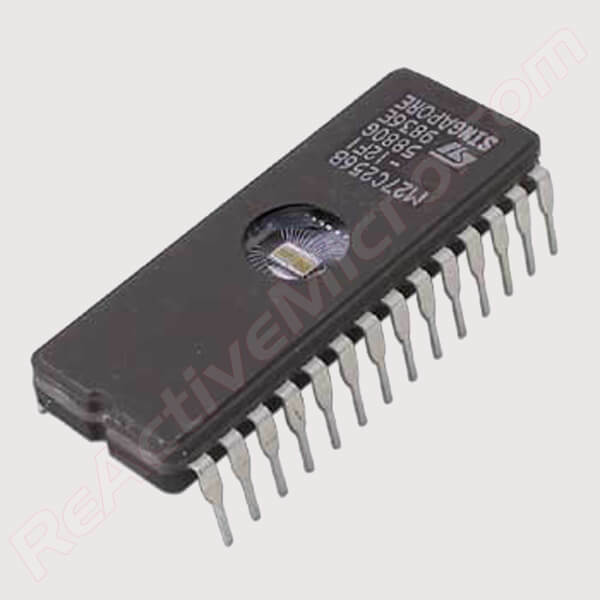 It adds 4 Megs of Auxiliary RAM to your Apple IIe. The is user assemblable using through-hole parts. It takes about 1 hour to fully assemble, and is a good beginner’s soldering project. The project is also Open Source so you can edit and experiment with how the board is programmed and get a deeper understanding about how CPLDs and your Apple II work. Great for beginners looking to learn more about electronics and custom logic. 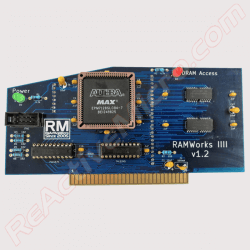 Read more about the RAMWorks IIII v1.2 on our Wiki. 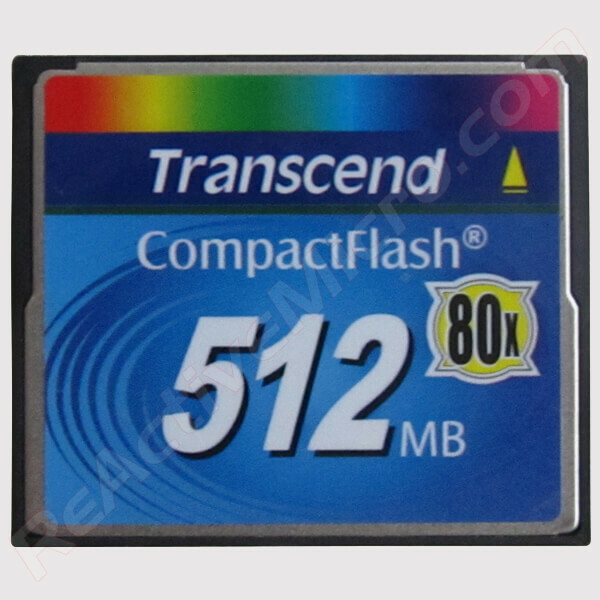 Reviews, Install Guide, and Support are there also. 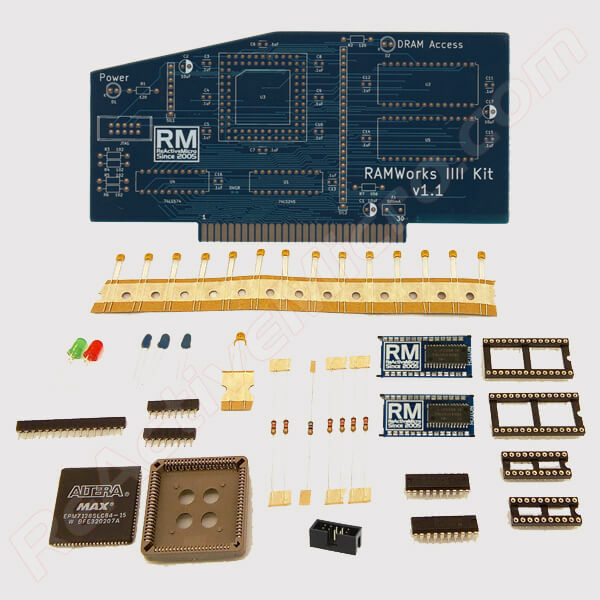 The RAMWorks IIII is based on AE’s RAMWorks III card, however it uses more modern 4Meg x 4bit DRAMs. The card provides a IIe user with 4 Megs of Auxiliary RAM. 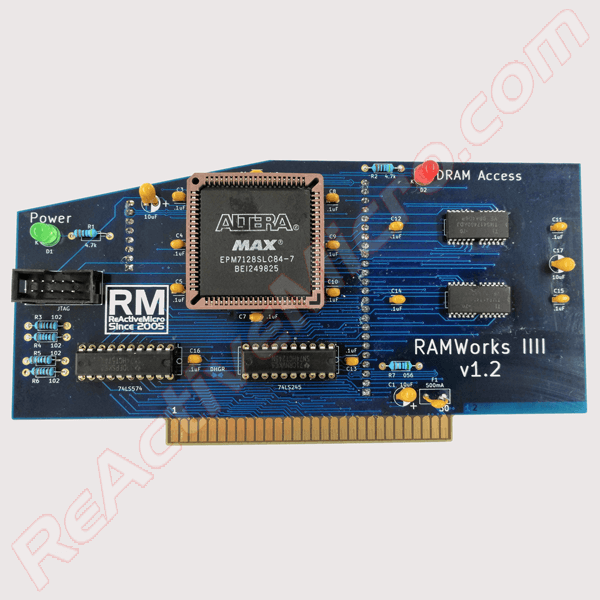 The RAMWorks IIII is also fully backwards compatible with the original RAMWorks III and software. As with the RAMWorks III, the RAMWorks IIII also plugs in to your IIe’s AUX RAM Slot. 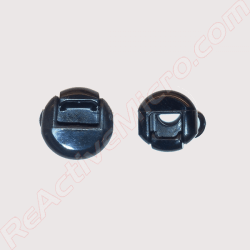 Comes with all parts, and detailed instructions for assembly are available on our Wiki. You require / supply soldering tools, basic soldering knowledge and common sense as not to kill yourself and burn down your home, and some basic tools like Wire Snips.